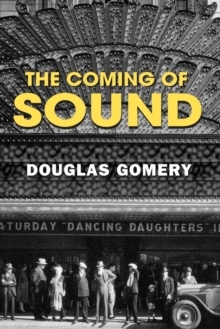 The coming of sound to film was an event whose importance can hardly be overestimated; sound transformed not only the Hollywood film industry but all of world cinema as well. As economic and film historian Douglas Gomery explains, the business of film became not only bigger but much more complex. As sound spread its power, the talkies became an agent of economic and social change through the globe, extending America's reach in ways that had never before been imaginable. This is an essential work for anyone interested in early film, film history and economics, and the history of the American media.